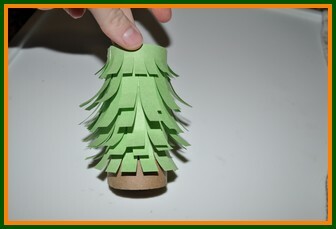 Christmas Tree Kids Crafts - Mini trees made of paper rolls! 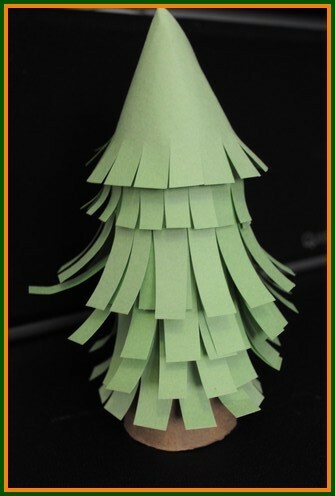 Our Christmas tree kids crafts will help you take a plain old paper roll, and turn it into a cute little tree to decorate for the holidays. 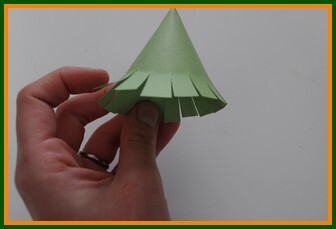 This Christmas craft is a simple one, with simple supplies - just a paper roll, some construction paper and your glue and scissors. It is great for all ages. Once you are done you can decorate it as you wish with some markers. 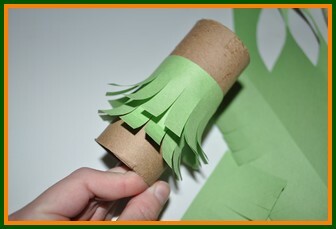 This is great to use as a decoration along side our paper roll snowman. 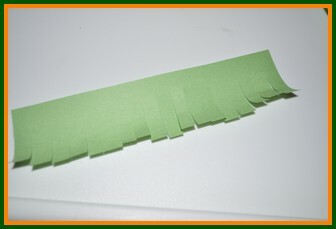 Cut out a strip of green construction paper. Make sure it is long enough to wrap around your paper roll. Using your scissors, cut slits all along it. Curl these up a round object (like a pen). Glue the strip around the paper roll, repeat this process about 4 times, or until the paper roll is covered. Be sure to leave a little space at the bottom for your stump. At the top of the paper roll, create a smaller strip to cover the top. 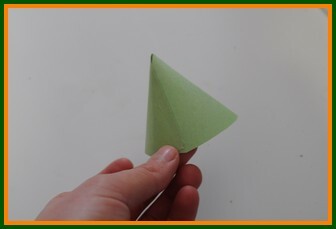 Create a cone out of the construction paper. Make sure it is large enough to sit atop the tree, without having to glue it. Cut slits similar to the rest of your tree, and curl these as well. Now simply place it atop your tree. Our Christmas tree kids crafts are done! Now to decorate them! Print This Craft & Many More - Crafty Critters: Crafts to Go!" We've made our site "to go"! No internet? No problem, we've got 100 crafts to go in a downloadable ebook! 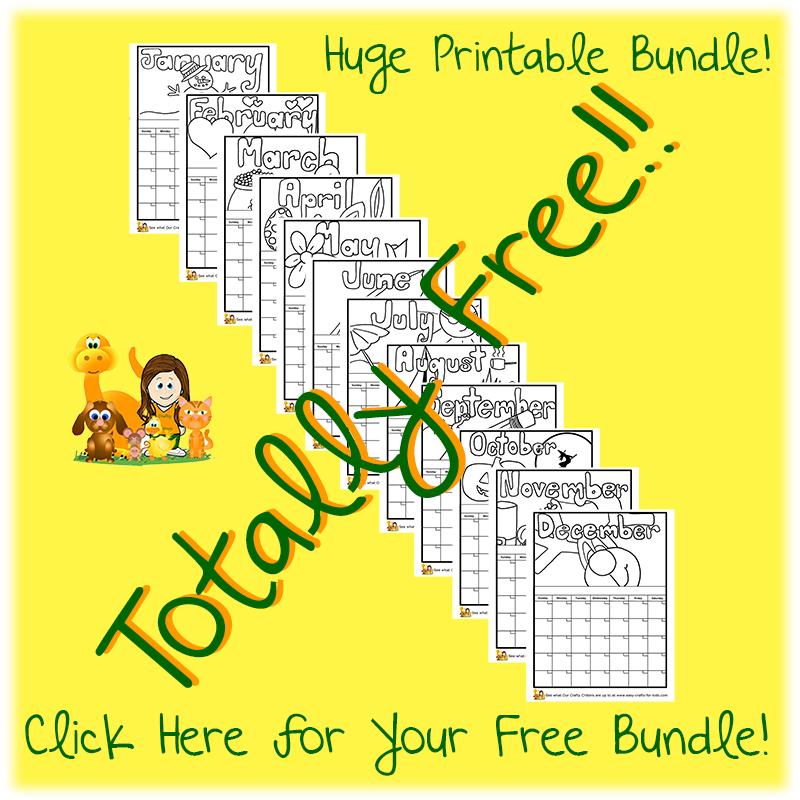 Our best crafts, formatted for perfect one page printing or easy reading on a tablet. Lets create a Santa's Treat Bag to fill with candies for the table. For Christmas dinner, we will also need some Christmas Napkin Rings. Give the gift of minty candy canes with our Reindeer Candy Cane treats. The Christmas tree with also need some great decorations, like our Popsicle Stick Christmas Stars. The Crafty Critters are social too! We share a ton of useful information on Facebook. All our crafts are pinned to Pinterest and a board for every occasion. Or get a behind the scenes look on Instagram. Why craft with the kids? See some of the MANY benefit of crafting with children. Being creative is an essential learning tool. 50 adorable printable Valentines cards packed full of love! 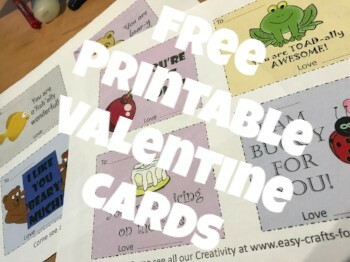 Super cute & totally free printable valentine cards - make home-made gifts this Valentines!